This plugin enables synchronization of YAML/JSON files stored in a Git repository with a Kubernetes application managed on the Nirmata platform. Nirmata is a Kubernetes platform that enables enterprises to deliver a highly scalable, always-on container management platform, built on Kubernetes. Using Nirmata, enterprise teams can fully automate the delivery and management of applications. At Nirmata, our mission is to empower all enterprises to easily deliver and manage containerized applications across public and private clouds. 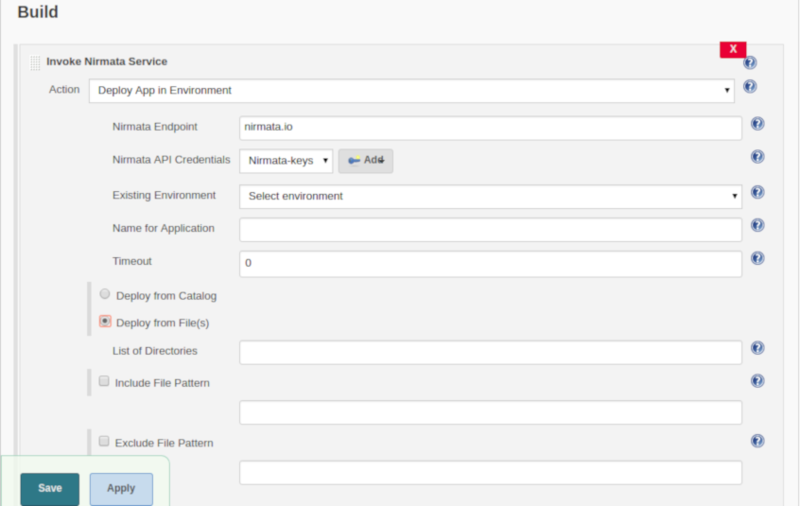 This Jenkins Plugin supports update/deployment/deletion of applications in Nirmata. Jenkins 2.107.3 or newer is required. Git 2.17.0 or newer is required. 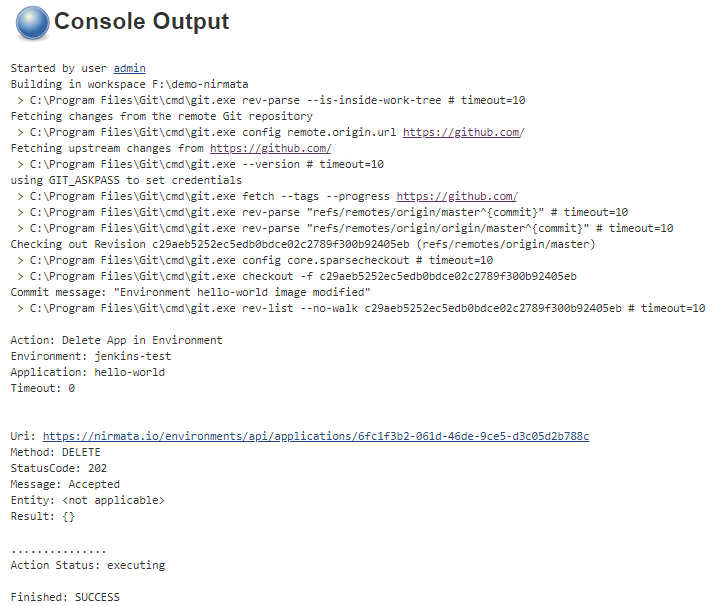 Install this plugin via the Jenkins plugin manager or download the latest version of it from [https://github.com/jenkinsci/nirmata-plugin/releases]. List of directories - Enter the relative path of the directory w.r.t locally stored repository containing YAML/JSON files. Multiple directories can be included using comma separator. Include File Pattern - Add filename/extension/regex that should also be included for updating an application. By default, all .yaml, .yml, .json files present in the specified directories above would be included. Note that multiple filename/extension/regex can be included using comma separator. Exclude File Pattern- Add filename/extension/regex for files in the mentioned directories that should be excluded for updating an application. Note that multiple filename/extension/regex can be excluded using comma separator. Note: Similar workflows can be generated for 'Update App in Catalog'/'Deploy App in Environment'/'Delete App in Environment' actions.